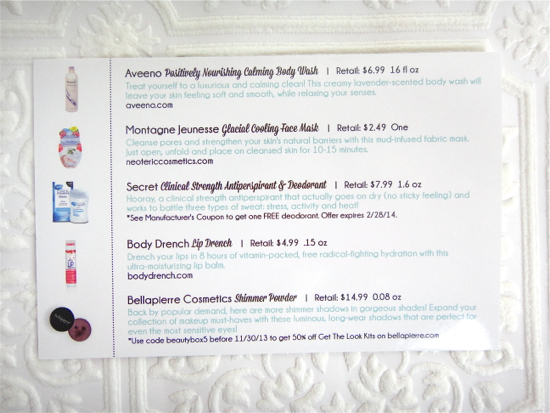 A card with detailed descriptions for the products and some coupons were included as well. Overall, this box is great value and there is nothing I don't like or won't use. 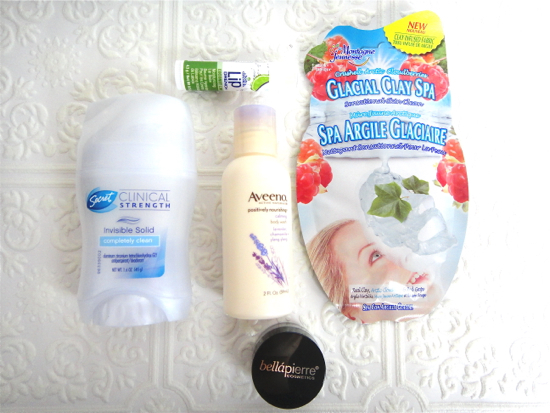 The anti-perspirant, sheet mask and lip balm are all solid basics. This month's Beauty Box 5 is already good for the items I mentioned above, but I am especially smitten with this wonderful shimmer loose eye shadow. I lucked out with the color because I have seen other bloggers received different ones like coppery gold and blue. 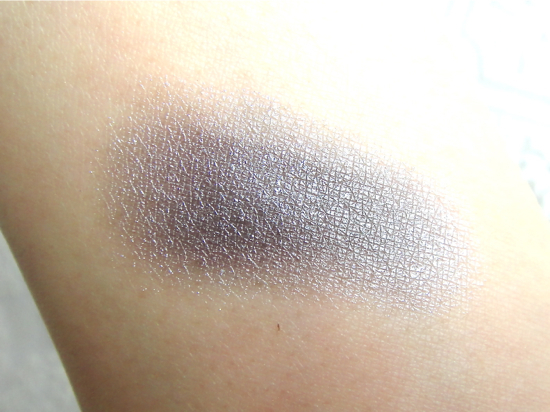 The Storm in my box is incredibly beautiful smokey grey with deep purple undertones, which is right up my alley! This is with just one swipe. 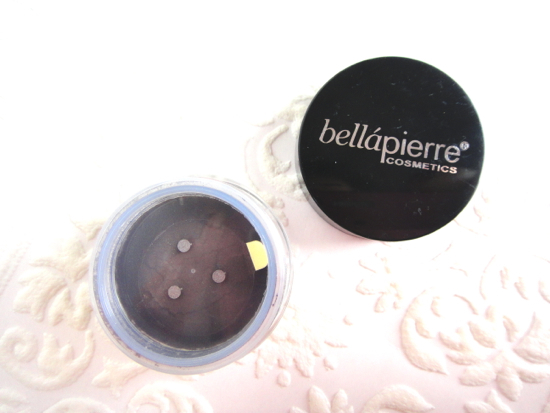 It is very pigmented and smooth in texture and the color is quite complex. It retails $14.99 by itself, so the November box a super value in my opinion. 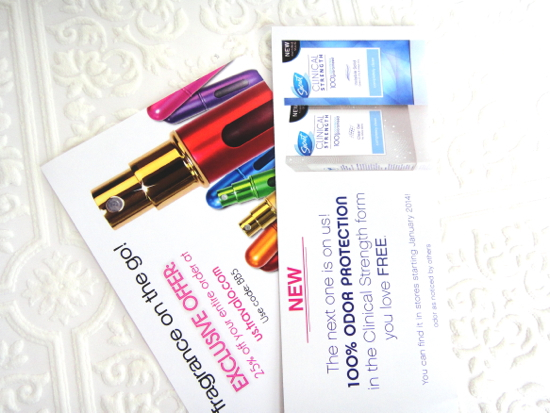 I appreciate that the November box includes the solid drugstore basics as well as the quality makeup item in full size that is not readily available in stores. 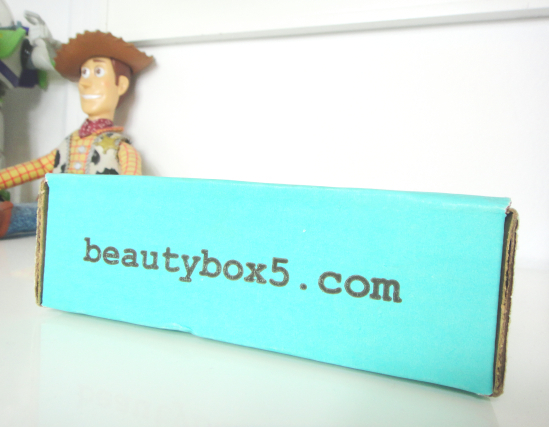 For more affordable subscription box with nice surprise, check out the Beauty Box 5.